There are so many health benefits to using coconut oil internally for your health, but it's also an awesome natural beauty multi-tasker too. Here are three ways you can naturally add elasticity, shine and tame those frizzies naturally with one of nature's most hydrating elixirs. The best way to control frizzy hair is by switching out your regular shampoo for a Coconut oil shampoo bar. Not only are you getting rid of the toxic chemicals and detergents that dry out your hair but you're ridding your hair of the buildup that dulls shine and zaps volume. Your hair will look and feel less frizzy and more moisturized with a light coconut oil fragrance. A coconut oil hair mask is one of the quickest and easiest ways to get your hair back to healthy, shiny hair it used to be. Coconut oil is extremely nourishing and reparative, and can be used alone, or blended with another ingredient for specific results. Simply blend desired ingredients in a 2:1, coconut oil to added ingredient ratio and apply to hair, starting at the scalp and working through to the ends. Wrap in a shower cap or old towel or t-shirt and let sit for at least an hour. You can also leave in over night. Rinse with hot water and dry and style as normal. For dryer hair, add pure honey to smooth and repair dry or damaged locks. Once you’ve shampooed and treated your hair with a coconut oil hair mask, style hair using a very small amount of coconut oil, warmed in hands, to smooth hair root to tip. This is like a smoothing shine serum without all the harsh chemicals. Coconut oil is a perfect solution for fly aways when trying to create a smooth bun or ponytail. Trust me your hair will say thank you and love it! It's so easy to achieve great results with just one product, so if you haven't tried coconut oil for your hair yet, do yourself a favor and try it! 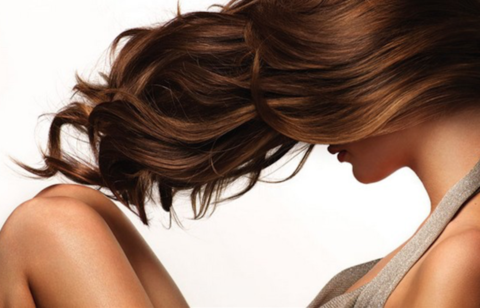 You'll have silky, shiny hair instantly and you'll save time and money too. Coconut hair is best option for clean skin and head scalp.